On busy days, it can be tempting to forego breakfast and rely solely on coffee to jump-start your day, but missing this meal is a mistake. Breakfast, as its name implies, is intended to break your overnight fast to wake your body and get it revved up and ready to perform. A healthful, protein-rich breakfast fills you up, increases your metabolism, and eliminates the urge to snack in-between meals. Protein essentially provides sustainable energy because our body digests it longer than carbohydrates, keeping the hunger pangs at bay until the next meal of the day. 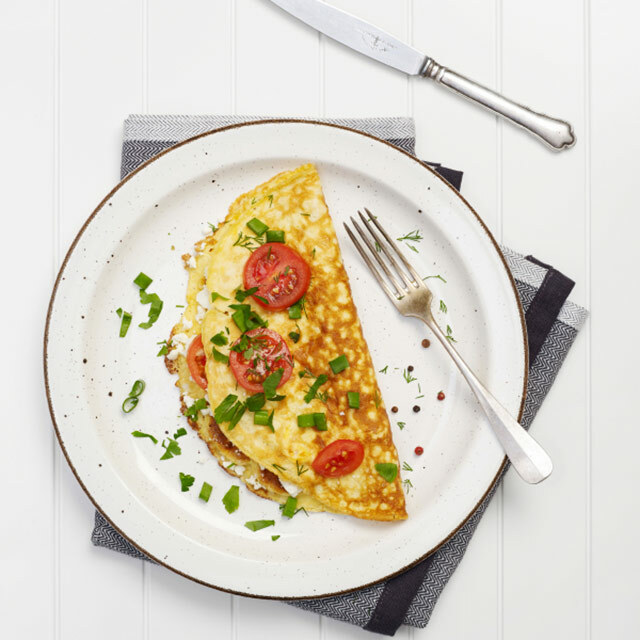 What if you just don't have the luxury of time to prepare an energy boosting breakfast? Don't fret. While it's easy to get intimidated by well-lit food shots shared on social media, there's actually little fuss involved in whipping up a nutritious spread. Here are a few fast and easy fixes guaranteed to perk you up better than caffeine. Bet you didn't know that this ubiquitous fruit is a super food. It is rich in vitamin C, potassium, and fiber. Mix this super food into protein-rich yogurt and you have a match made in breakfast heaven. Sprinkle almonds, granola, whole grain cereal for carbohydrates, and blueberries to finish off this power-packed parfait. Complex carbs are just as packed with sustainable energy as protein. Even better, they can be found in another grocery staple — oatmeal. Apart from complex carbohydrates, oatmeal is also rich in fiber. Oatmeals don't have to be bland either. 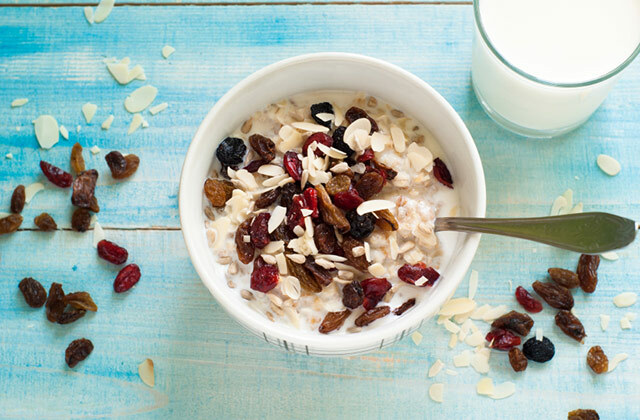 Pour skim milk on your oatmeal for your protein, almonds or walnuts for healthy fats, and some raisins for sweetness. Edible flowers also go well with oatmeal, so if you've got rose petals in cold storage, mix them into your oats for added flavor. You can't go wrong with eggs. They're an excellent source of protein and there many different ways to prepare them. 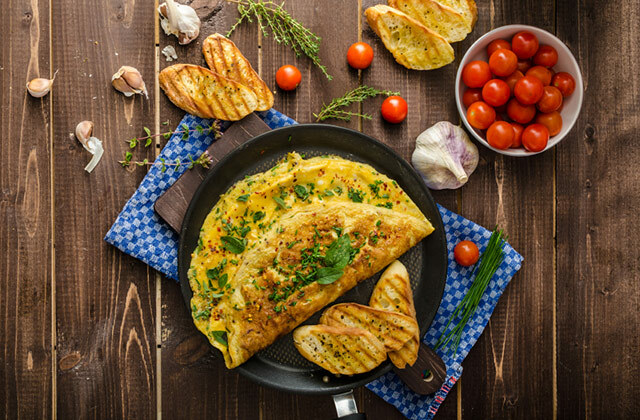 To amp up the nutritional and energy-boosting content of your meal, opt for a quick and easy omelette mixed with your favorite veggies and low-fat cheese. Serve with fruit and milk. 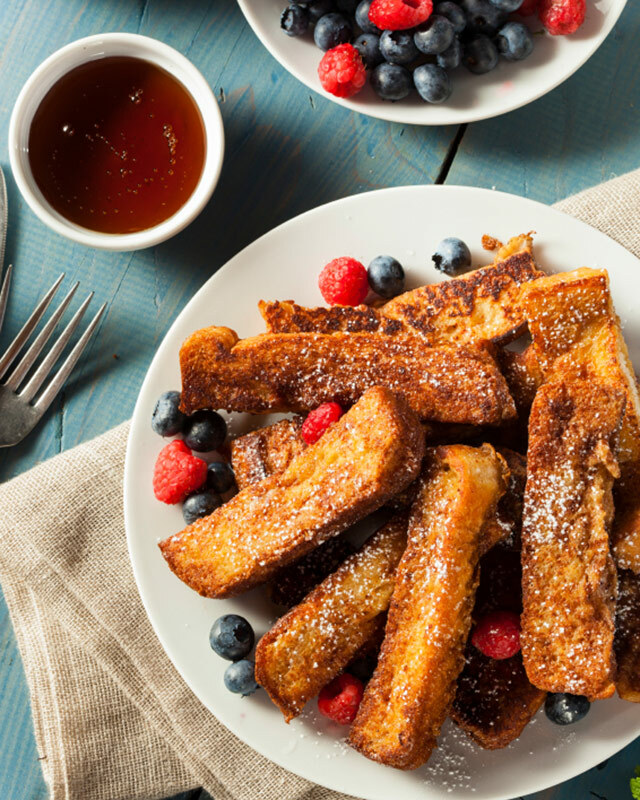 Put a healthy spin on the classic French toast by opting for whole grain bread, fat-free milk, and trans-fat-free margarine. Some cinnamon sprinked in can help lower insulin resistance and reduce harmful fats that may contribute to diabetes risk. If you feel like you deserve a treat, go ahead and have some bacon if you're feeling a bit indulgent. If you are to sip a morning beverage on the go, let it be a smoothie — a portable breakfast in a cup. This drink is fast and easy to prepare, just select your favorite fruit combinations, some low-fat yogurt, and let the blender do the work. The fruits — bananas, mangoes, and berries — contain carbohydrates and your low-fat yogurt is a good source of protein. 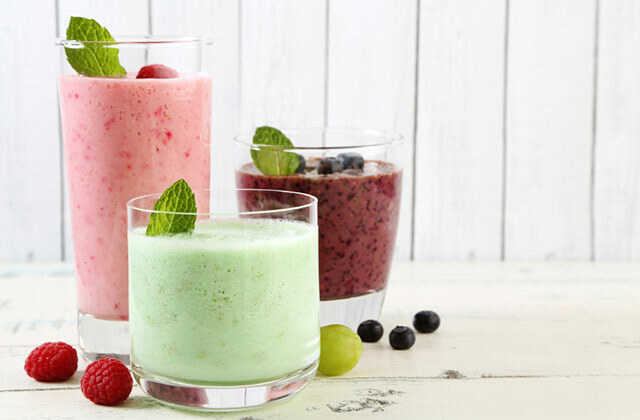 Smoothies are also great pick-me-ups when you're feeling under the weather. Nothing says get well soon better than this tasty treat.